Love Your Life Yoga and Community was founded to provide a welcoming place where people at all stages of life feel safe to come, explore, learn and grow together. I am committed to offering a variety of class styles because I believe there is something valuable to be found in each approach. If you are seeking some time on your mat to sweat it out, or gently restore your body Love Your Life Yoga and Community can provide that opportunity. If you desire a deeper understanding of Yogic philosophy & spiritual practices, we offer that as well! Your practice is a journey of self discovery that is uniquely your own. Love Your Life Yoga and Community is here to provide the community for guidance & support along the way. There are no expectations & you cannot fail. Show up, practice & good things will come! 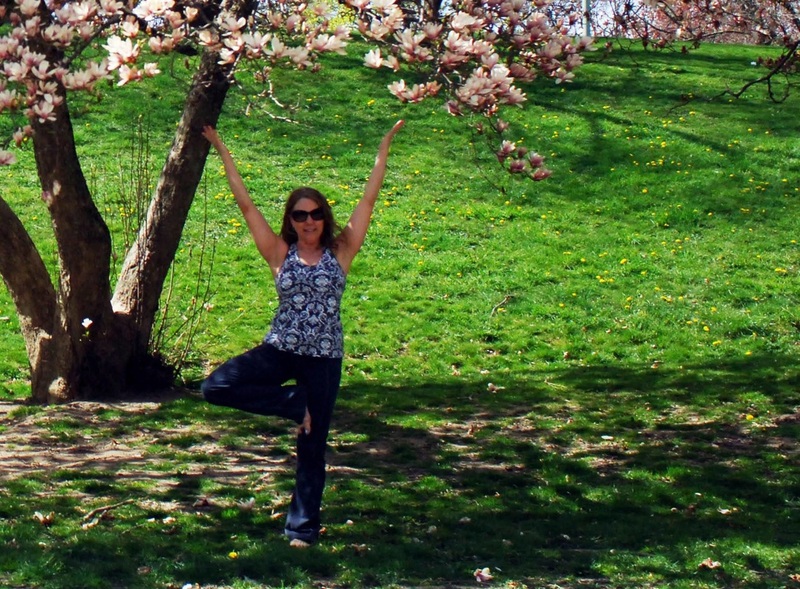 Coming from decades of teaching fitness and dance, Katherine knew her journey would shift the morning tears of joy fell onto a borrowed yoga mat, inspiring her certification with Beth Shaw's YOGAFIT in 2001 and a few years later her KRIPALU 200 hour YTT. She continues to be inspired by the amazing classes and workshops she attends and feels eternally grateful for the opportunity to learn from masters including Ashley Turner, Rolf Gates, Sianna Sherman and Stephen Cope. She blends her passion and devotion with creativity in leading intelligently designed practices with kindness and compassion. Her teachings are sprinkled with yogic philosophy and joy. Katherine has a gift for connecting with her students in a way that encourages their inner radiance to shine. She joins her husband Bernie in producing Ahimsa Yoga & Music Festival each year in the Catskill Mountains of New York.